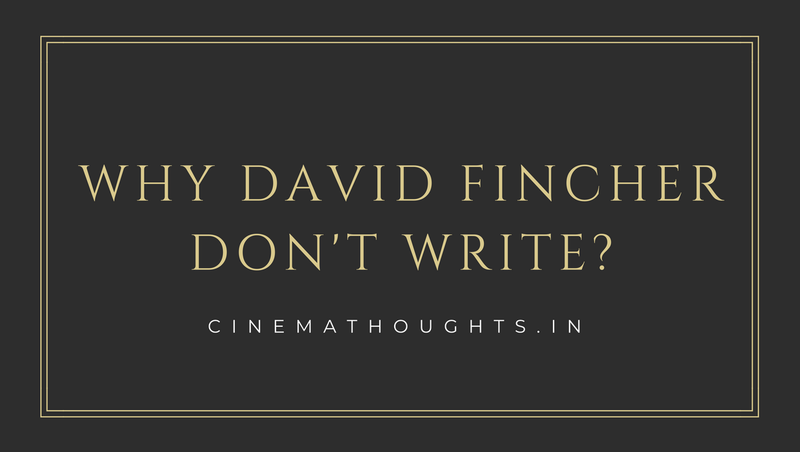 Home / Controversial Stories / Why David Fincher Can't Write Story Of His Own? 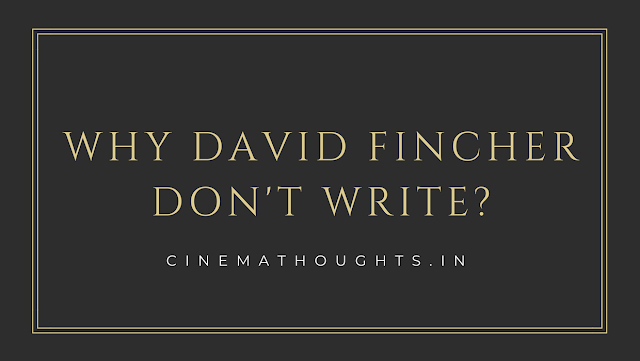 David Fincher can't write a short story by himself. Yes That Is So rude to talk about a Director Like Him. He Can't Because He Won't. If You Are riding a bike and talking on the phone at the same time,You can't balance on both things.Then If You can balance till End, It will the only one that is satisfy you and the other thing.....ssbuff. And There by Saying He Is Perfectionist in Direction and Screenplay. In Fight Club,Tyler Durden Working as A projectionist Who Flips Some pics of di*ks into some family movies. Fincher Used the same into the whole film Projecting Tyler Durden pics in to the frames as flips before he Appearing as a character.It Also Tells the emerge of tyler durden in the Narrator's mind.He Also Project A Di*k pic in the last shot of the film. He Conveys The Story Through the Right Colors.Fincher is Famous Worldwide with His Unique Color Preferences,There's Still a myth in Where he Download The Preset (kidding).He Gives Detailed Objects even in a Dark Frame.Even In the night,His palette never Gone wrong.He Chooses Different colors and light in depth for each and every frame.In Fincher's Film ,It's Safe to say Every Frame A Painting.The Psychology Of Color Is Used Wisely and Perfectly in his Film.Not Only with Post production but Also with the Cinematography. David Fincher Remains His several films with yellow and green shady tones with Jeff Croneweth cinematography. David Fincher have another Uniqueness.His VFX are can't identify even by a VFX experts..He Uses VFX very often in his normal films than fantasy ones. Fincher have been burying Immense Amount of Details in Film with only Slight Shades of them that can be Noticed. He always have 1000 of Visual Information and Details in his films to show audience What the film is about and He show it very early of the film.In that way, he also shows the ending of the film by show off something in the opening shot. Of course Every Opening Shot of a good film have Visually Emotional Meaning that connects to film's story.But Fincher have Every Scenes,Shots,Camera movements connects with them.But It Can't be explained in words or even in pictures until you understand His Films. See that Emotion have the Motion In It.Every movement of camera have some Emotion,Behavior,Characterstic to Follow.Fincher is Master at It.He Always have Long movement (motion)of camera in his Emotional Scenes and Steady Cams in his characterstic Scenes. He Pans,Tilt, Moves...For A Reason. It is a great Aesthetic way of telling what will come next or an emotional Factor. Thus Maintaining Perfectionism and being a Perfectionist Requires Some Efforts,Loss and Dedication.Thus He Focused More On Direction and Visual Script (Filmmaking),He is not Interested in Writing Scripts (normal stories) and Also He is busy in Sculpting World's Good Stories in Frames,Which Give Them An another Form.A Great Theory Tells That You can't Transform a Creation that is a Masterpiece in an Art into an Another Art with Perfection.But David Fincher is Master at it.